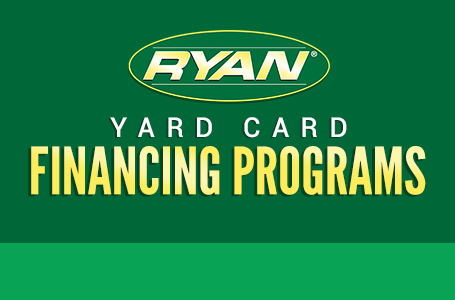 Introducing the new RYAN® Stand-On Aerator, the Lawnaire® ZTS. 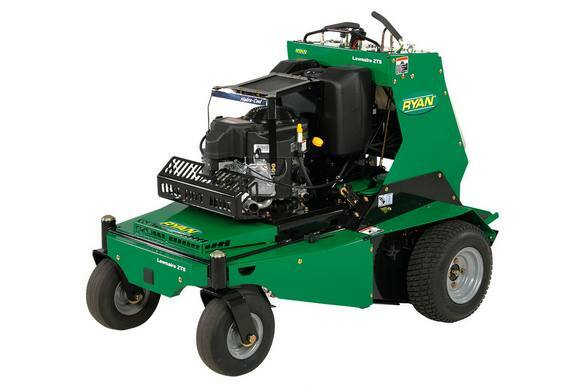 Step up and ride your way to a new approach to aeration. The Lawnaire® ZTS stand-on aerator grips the terrain and, like you, moves fast. Capable of covering two-and-a-quarter acres per hour at ground speeds up to seven miles per hour, this highly maneuverable machine tackles aeration more nimbly, efficiently and effectively than you’ve ever seen before. An absolute master of turf aeration, the Lawnaire® ZTS improves your profits and when the job is done, it leaves operators with extra time and energy. Loaded with performance features including a shock-absorbing platform, intuitive controls, an aeration depth stop, a rapid hydraulic tine lift, a revolutionary automatic chain-tensioning system and hassle-free access panels, this durable, high-performance machine is ready to go to work for you. Innovative automatic chain tensioning system reduces the chain maintenance required. Aeration Depth Control for precision aeration in varying soil conditions. Flip up operator platform with a quick latch allows for the Lawnaire ZTS to be a walk behind aerator and a reduced footprint on trailers. Platform Up: 60.5 in. ; Platform Down: 69.5 in.